Manatees: Just slow-witted, underwater bean bag chairs who swim into boat propellers, right? But wait! 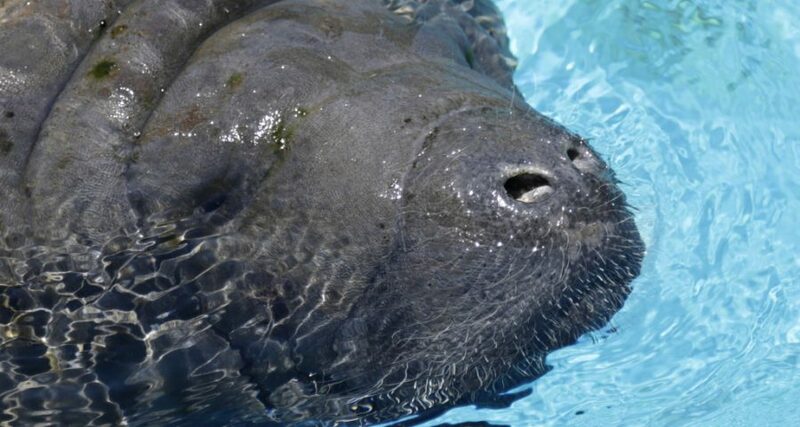 Manatees got their bad rap a century ago. That’s when an anatomist cracked open the skull of a dead manatee and declared its smooth brain looked like that of, well, in his words, a human idiot. That’s long been conventional wisdom: Smarter animals have more brain folds. Think predators: Sharks. Hawks. But, as University of Florida veterinary medicine professor Roger Reep has argued, manatees have much to teach us about brain development. Since manatees eat sea grass, which isn’t hard to find and doesn’t run away, they had no evolutionary need to develop complex moves. And manatees process a rich stream of tactile input that’s quite different from sight and sound-focused human intelligence. Their snouts are sensitive like elephant trunks. Their whiskers can literally grab. Their body hairs are dense with nerves that detect movement. Still, it’s no fun when they smack into that boat propeller. Not their fault, though, more of a case of manatee versus humanity. Sorry!